Sharing isn’t easy—even in the holiday season. When we’re young, sharing may be mandatory. If Mom says, “Share nicely!” it isn’t a request. The sharing we do when we are older may be more voluntary as we share clothes and rides and secrets. As adults, we face sharing that’s complex—sharing money, space, time, and love. Some adults hoard everything for themselves, showing off their huge homes, cars, and clothes to those who have little. Some people feed on envy. They don’t want to share profits. They prefer control to love, with few exceptions. Now and then, their family members aren’t even exceptions. The resource hoarders don’t look at their situation that way, so it doesn’t seem to be a problem. In the fall, sharing becomes more problematic. Sharing with people who are have-nots is far more pleasant if you don’t have to see them. Just dump your unwanted clothes in the collection bin or send a check. So, cities bulldoze tent villages of the homeless, hardly caring why the individuals are there in the first place. They aren’t attractive. If they’re going to freeze, let them do it out of sight somewhere. In the parking lots of shopping areas, people go car to car, asking for funds, or they may position themselves at corners—with a dog, if possible. We know most of them are merely pretending to be in dire straits, but some aren’t pretending. How can we tell the difference if we don’t have enough extra money to share with all? Should we try to guess, gift everyone who asks, or rush away? For those of us who are rural, in the fall we’re asked to share by the creatures who owned our land first—mice and packrats and bugs. We know it’s not fair that we take so much space, that we have so many warm corners with access to things chewable and we try to kill anyone who attempts to take advantage of the opportunities, but what choice do we have? We can’t risk diseases and chewing damage to our food stores or electrical systems and sometimes poisonous bites. If packrats would stay in cute cages with little wheels, we would think they were adorable. But they don’t and we don’t. It’s sad. Sharing is a complex problem. If I were the one in need, how would I hope to be treated? If I’m the one doing the sharing, how do I share honestly, from the heart? After a speech I gave long, long ago that won a national competition, one person’s feedback was, “How dare you imply that I have to care about other people!” Scare people or place them in a competitive situation, and they may choose not to care at all. 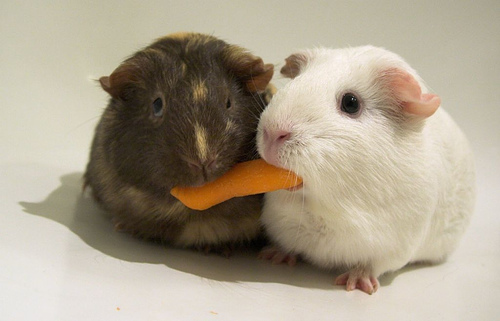 Of course, not sharing is easier. We have many choices to make, and we live with the consequences. This entry was posted on November 2, 2014 by Personal Journeys with Gramma in Musings and tagged Animals, Caring, Choices, Complex Issues, Consequences, Decision-Making, Decisions, Donations, Equity, Fairness, featured, Giving, Honesty, Mandatory vs. Voluntary, Musings, Others Above Self, Poverty, Resources, Sharing, Wildlife.